We are coming to the end of our term here at MCC, and students are putting the finishing touches on their final papers. Your instructor might have suggested to focus on “global” concerns, and save the “local” revisions for last. But what exactly does this mean in plain speak? A “global” concern is the big picture of the essay. Are all the elements working together – development, focus, organization – to create a well thought-out essay? First, read the essay (preferably aloud) and only concentrate on the overall large – global – perspective. Answer the following questions, starting with the larger issues and working your way to the more specific. Checking for global concerns requires at least two read-throughs. On the third and final read, you’ll only check for sentence-level – Local – concerns. Focus only on grammar and punctuation now. Why not fix the sentence mechanics as you check for global concerns? Because often you’ll be adding or cutting large blocks of text. Why correct grammar and punctuation when you’re not sure what will stay or what will go? Don’t worry about editing until the draft is exactly as you want it. Follow the guidelines below to polish your paper like an expert. Is the thesis clear and well stated? Is the overall organization logical? Are the paragraphs logically structured? Do the paragraphs utilize topic sentences? Do the topic sentences relate back to the thesis? Are transitions smooth between paragraphs? Are all ideas fully developed? Are all claims supported with ample evidence? Once you have determined everything is working well on the first read, go back and read again for more specific global concerns, breaking a long essay into manageable chunks. Does the introduction offer background and/or history of your topic? Does the reader know immediately what the topic is? Is the thesis stated after the topic has been introduced? Does each body paragraph only discuss one topic? Does each body paragraph relate back and support thesis? Does each body paragraph offer ample, well-documented support? Are transitions smooth between sentences? Does the conclusion restate (but in different language) the claim? Does the conclusion avoid repetition or redundancy? Does the conclusion end with a call to action, or other appropriate concluding remarks? Now it’s time to concentrate on sentence-level mechanics. Look closely at spelling, punctuation, grammar, and usage. Try reading through the essay out of order – conclusion to intro. This slows you down and makes you concentrate more fully on each word. Run spell check. Any red squiggles? Do you understand all the green squiggles? If you have problems with word confusion – words like their and there, or were, wear and where – use the “Editing” button on the right of the toolbar. Under the “Find,” type in the words you confuse and check to make sure you’ve used them correctly. If you are prone to use second person “you,” run a “Find” on that as well, and any other problem words. Have you used any semi-colons? Are you positive you’ve used them correctly? A semi-colon is the most misused punctuation. Commas have rules of usage; don’t just randomly place them where it looks like you might need one. If in doubt, leave it out. Is all formatting following the guidelines of the assignment (MLA; APA)? Sometimes it’s best to put a paper aside for a day or two to take a break from it and gain a fresh perspective. We often read our essay so much we lose sight of what we are reading. If you’ve followed these steps and you feel you’ve given attention to each detail, let it go. Stand up. Stretch. Say a prayer to the writing fairies and turn it in. Pat yourself on the back for a job well done. Have you ever been given an essay assignment, and after reading it carefully, still couldn’t figure out what the heck you were supposed to do? I sense you nodding your head yes. Writing assignments can sometimes be hard to decipher. New students are still learning academic jargon, and terms that are professors’ everyday vocabulary often sound like a foreign language to students. Have you ever been assigned an “Analysis,” but also been instructed absolutely NOT to include “Summary”? Or have you ever had to write a “Summary” but been instructed NOT to include “Response”? Hopefully your instructor has explained what his or her expectations are, but in case you were absent that day, below are a few of the most common types of writing assignments and their definitions. Summarizing a text is pretty straightforward; the instructor is asking you to read the material and break it down into a shorter summarization in your own words. This sounds simple, but often students read a short story or a newspaper article and totally misinterpret the text. This is exactly why the instructor has assigned a summary – so you’ll learn how to actively read (and re-read) a text, critically thinking about what the text is communicating. Summaries are often short, three to five paragraphs. Longer works might require longer summaries. When they are short, you’ll want to get to the point fast. Introduce the text and author, and explain the main point or theme. In a summary, you’ll repeat the ideas you have read, but relay them in your own words. Your summary should act as a substitute for the source; act as if your audience hasn’t read the text, and explain exactly what it is about. There is no room for your creative interpretations here: don’t mislead your audience, and take care not to misinterpret the text. Some will argue that when reading and repeating a source, there will always be differing interpretations, but this is different than failing to understand the main points of the text. Read closely and carefully, and articulate accurately. Literature or Creative Writing classes often assign Literary Analysis papers. In a literary analysis, the instructor will usually expect you to examine the writing of a text more closely. There are many different choices to make when analyzing literature, and often your instructor will give you guidelines as to what you might focus on. You might be asked to analyze the author’s writing style, or the plot development. You could focus on symbolism, metaphor, or irony. You could also focus solely on plot, setting or characterization. You may have the option to take a broader approach, analyzing the historical framework, critical theory, or the social, political, or religious context of the text. Whatever you choose, or are instructed, to analyze, you will be expected to make an argument, or main point, about the literature. Once you decide what the main point is you want to make, you’ll need to include evidence from the text. It’s like an argument paper where you have a persuasive thesis, but focused on a piece of literature. You will most likely be asked to include some quotes, and a brief summary, but usually you’ll want to avoid lengthy summary in an analysis. The personal “I” pronoun is usually not used in analysis essays, though this is often the discretion of the instructor. If in doubt, leave “I” out. If your instructor has asked you write a “Response” or “Reflection” paper, you will most likely write about your own thoughts and feelings about a text. When we “reflect” on a piece of writing, we often think about the emotions the piece has conveyed in us as readers. Responses and reflections ask the writer to offer his opinions, so the reader expects a face and a voice behind the words, a first-person “I,” as opposed to the more formal third person common in the analysis essay. You will most likely include “I think” or “I felt” throughout your essay. It’s easiest to write a response or reflection immediately after reading a text, when it’s fresh in your mind and your emotions about the piece are fresh. At least try to jot down some notes as you read. Did the writer make you angry? Did you feel sympathy? Did it compel you to act in some way? Reflect on why you have responded the way you did. What in the text compelled you to respond this way, or how has the writer manipulated your feelings? This type of paper may require short summary, but usually you’ll only analyze your reaction, not the text. These are broad guidelines for writing different types of essays. If in doubt, always ask your instructor what their expectations are for any given assignment. 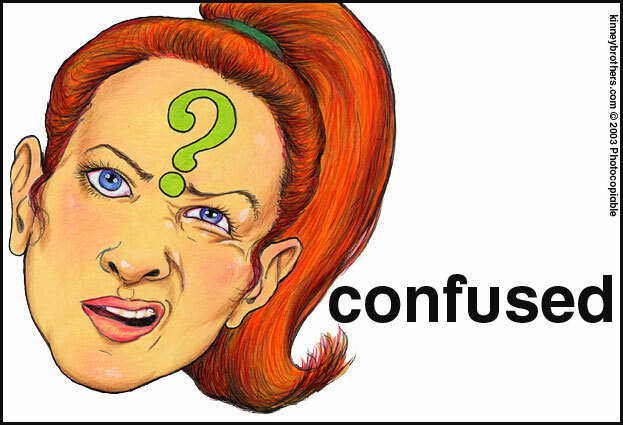 Students: Do you have any assignments right now with directions or guidelines you are confused about? Share them here and we’ll try to break them down next week!